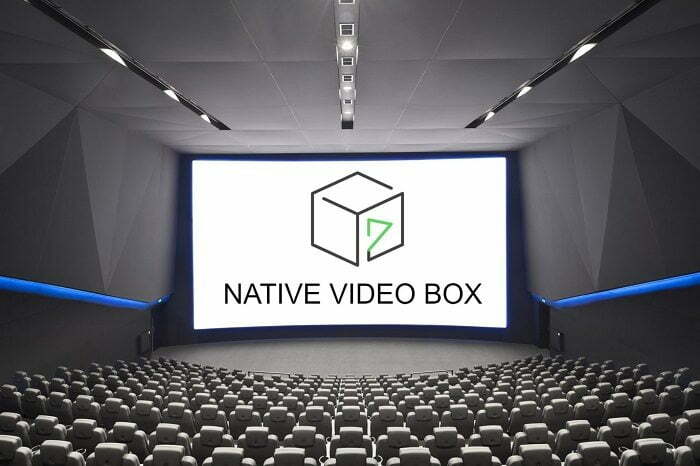 Blockchain-based AdTech startup Native Video Box conducts an ICO campaign to launch an independent native video advertising platform. AdTech and digital advertising market is currently experiencing vertiginous growth. With video advertising becoming the fastest growing advertising segment in 2017, it’s time for the industry to make a step forward. That’s why Native Video Box aims at bringing together blockchain and the hottest AdTech trends to create the future of advertising. What is Native Video Box? Native Video Box (NVB) resembles YouTube like cryptocurrencies resemble traditional banks. It is an independent native video platform with native eco approach to advertising, which enabling sites to enhance users’ experience with highly relevant content. NVB shares 75% of ad views revenue with videos owners (15%) and website owners (60%): with those who actually create video content and those who bring it to the audience. These values and transparency grants our network fast organic growth and highest inventory quality standards, which magnetically attract the advertisers. NVB Service is a literally turnkey solution for publishers: relevant native video with brand-safe licensed content, that will start to earn immediately via programmatic video ads. On the other hand, Native Video Box solves the issue of video bloggers and other video content creators, who have not yet an option to spread their videos outside of their usual video hostings audience and be generously paid for that at the same time. According to our estimates, NVB will be able to offer content creators higher average income than YouTube can provide. Native Video Box brings together the most cutting-edge video ad technologies in an entirely new ecosystem, created to benefit publishers and content creators. These values and transparency grants our network fast organic growth and highest inventory quality standards, which magnetically attract the advertisers. NVB has two types of advertising inventory: in-stream pre-rolls (short ads shown before video content) and native video (when advertiser pays for the show of the video like a “sponsored article” unit to promote the advertiser’s product). The fact that we work with both types of ads, sold via programmatic ad service, makes our business model sustainable. In order to use in spot native advertising, that is actually similar to content videos, advertisers should provide content that matches the NVB editorial policy.